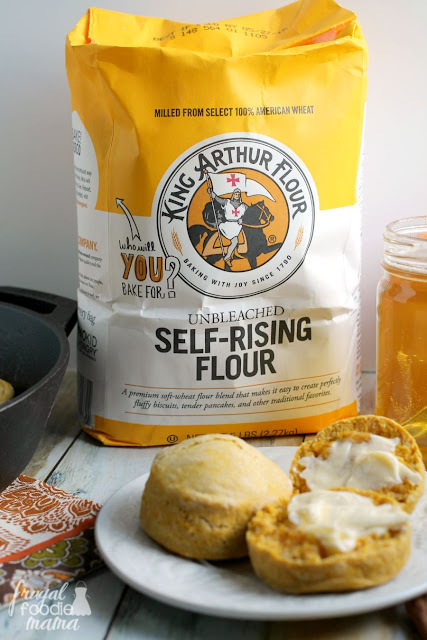 I am partnering with King Arthur today to bring you all this 4 ingredient recipe for soft & fluffy Easy Pumpkin Cream Biscuits. As always, all opinions expressed below are 100% my own. Brace yourself, my friends. The season of all things pumpkin is almost upon us! 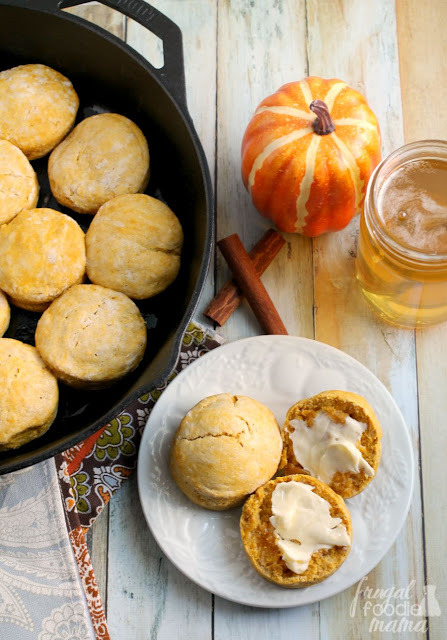 And quite frankly, I have been having a hard time not sharing this recipe for Easy Pumpkin Cream Biscuits with you all sooner. But I figured I should at least wait until it was almost September. ;) August 28th is close enough, right? Preheat your oven to 425 degrees. Grease the inside of a 12-inch cast iron skillet. (Alternatively, line a baking sheet with parchment paper.) Set aside. In a large mixing bowl, whisk together the cream & pumpkin puree. In a smaller mixing bowl, whisk together the self-rising flour and cinnamon. Add the flour/cinnamon mixture to the pumpkin/cream mixture , and stir until a cohesive dough forms. Roll or pat the dough into a disc 3/4" to 1" thick; the thicker the disc, the taller the biscuits. Using a 2" cutter (or the size of your choice) to cut out rounds. 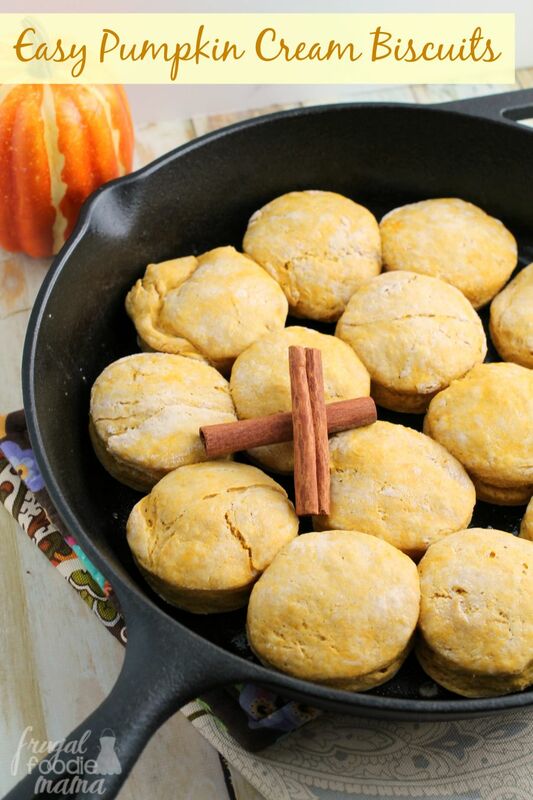 Place the biscuits in your greased cast iron skillet or parchment-lined baking sheet. 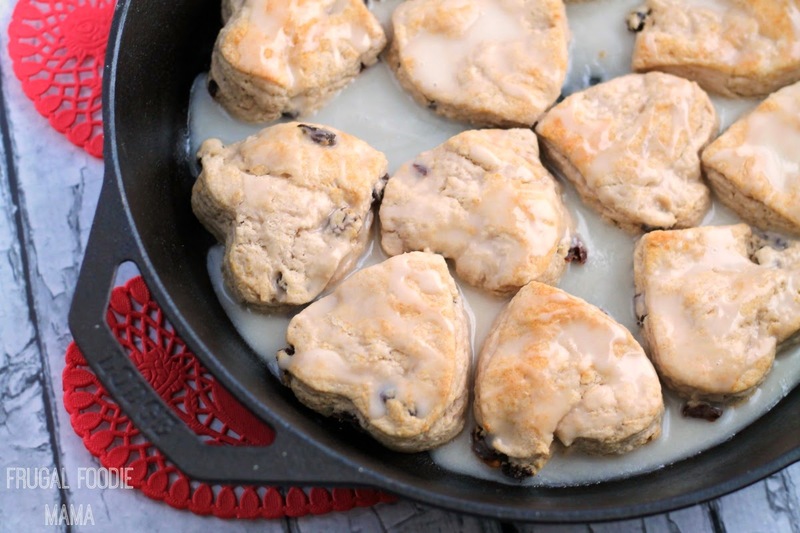 Brush the tops of the biscuits with a little cream or milk, if desired; this will help brown their crust. 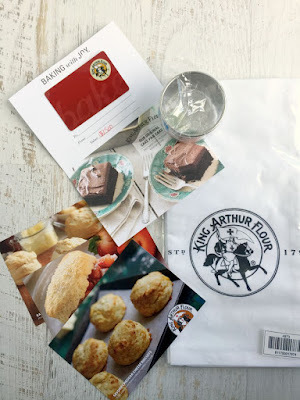 **Tip from King Arthur- Freeze your cut-out biscuit dough for up to 20 minutes before baking to improve texture and rise. Bake the biscuits for 15 to 18 minutes, until they're golden brown. Remove them from the oven, and serve immediately with butter and honey, if desired. 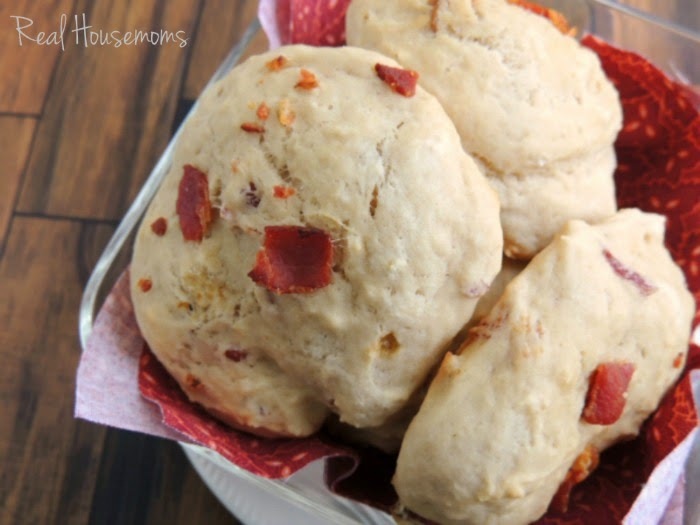 Adapted from this recipe for Savory Cheddar Cheese Biscuits from King Arthur. 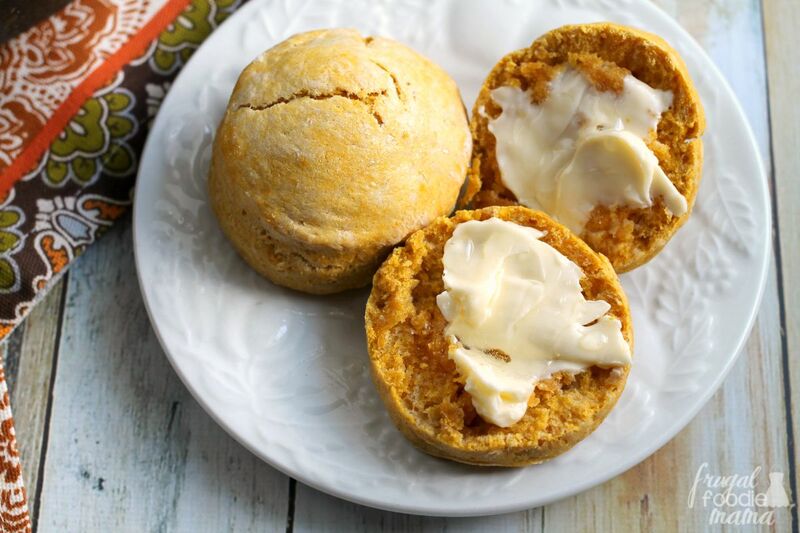 And what may be the best thing about these Easy Pumpkin Cream Biscuits is just how versatile they are. You can serve these savory alongside a bowl of hearty chili. Or drizzle them with honey or a simple cream cheese glaze, and these biscuits instantly become a sweet treat. What is the first thing that you would bake using King Arthur Unbleached Self-Rising Flour? 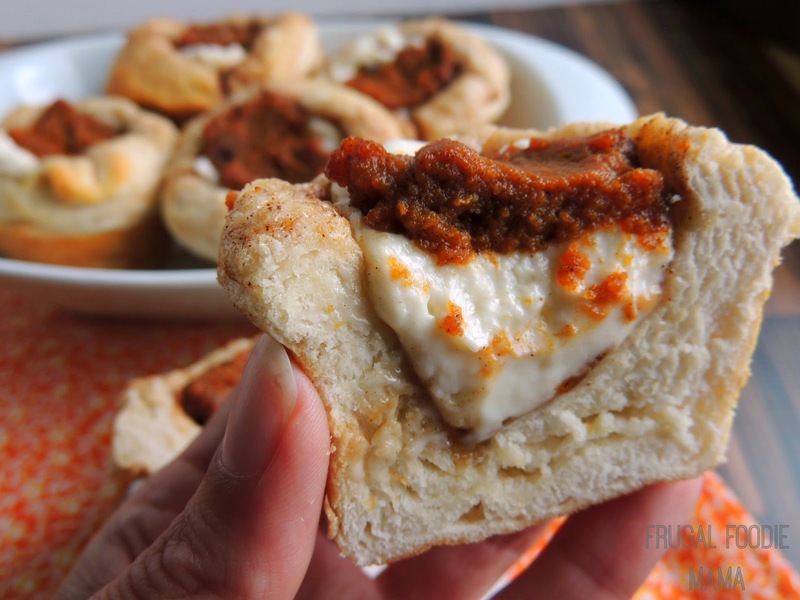 I am working on even more new fall recipes! Want to see the exclusive sneak peeks? ;) Be sure to follow me on Instagram!